The 2003–04 NBA season was the 15th season for the Minnesota Timberwolves in the National Basketball Association. During the offseason, the Timberwolves signed free agents Michael Olowakandi and Trenton Hassell. 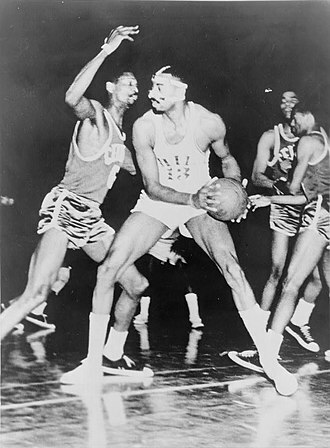 With a Western Conference-best 58–24 finish, the Wolves set the franchise record for wins, and won its first and only division championship. Power forward Kevin Garnett averaged 24.2 points, a league-high 13.9 rebounds, 5.0 assists, 1.5 steals and 2.2 blocks per game, winning the regular season Most Valuable Player Award. In the first round of the playoffs, the Timberwolves defeated the Denver Nuggets in five games, winning their first ever playoff series. The Wolves were then pushed to the limit in the semifinals by the Sacramento Kings, who they narrowly defeated in a deciding seventh game. 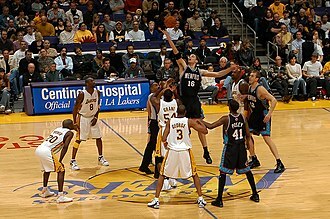 In the Western Conference Finals, they faced the Los Angeles Lakers, who had defeated them in last season's First Round in six games, as well as featuring the all-star cast of Shaquille O'Neal, Kobe Bryant, Gary Payton and Karl Malone, and were defeated in six games. 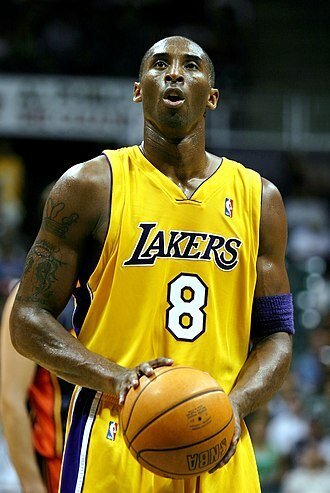 The Lakers would then go on to lose in the NBA Finals to the Detroit Pistons in five games. The season is memorable, acquiring 4-time All-Star but controversial guard Latrell Sprewell, who was known for his choking incident with then-Warriors head coach P.J. Carlesimo, and helping the 8th-seeded New York Knicks to the NBA Finals in 1999, and Sam Cassell, who was known for winning two championships with the Houston Rockets, and his tenure with the Milwaukee Bucks, where he helped guide the Bucks to the Eastern Conference Finals in 2001, to join Garnett, forming a "Big 3". Garnett, Cassell, and coach Flip Saunders represented the Western Conference in the 2004 NBA All-Star Game. 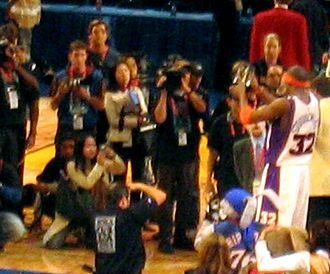 The 2004 All-Star game was Cassell's only All-Star appearance in his career. The Timberwolves would not make the playoffs again until 2018, and as of 2019, this remains the only season the Wolves had ever won a playoff series. 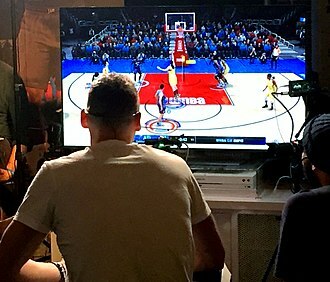 With the exceptions of Ndudi Ebi, Troy Hudson, Darrick Martin, Oliver Miller, and Michael Olowokandi, the team's season roster is featured in NBA 2K18. Last Playoff Meeting: This is the first meeting between the Timberwolves and Nuggets. Last Playoff Meeting: This is the first meeting between the Timberwolves and Kings. Kevin Garnett was named Western Conference Player of the Week for games played November 16 through November 22. Kevin Garnett was named Western Conference Player of the Week for games played December 14 through December 20. Sam Cassell was named Western Conference Player of the Week for games played December 21 through December 27. Kevin Garnett was named Western Conference Player of the Week for games played January 18 through January 24. Kevin Garnett was named Western Conference Player of the Week for games played January 25 through January 31. 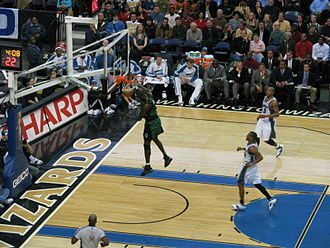 Kevin Garnett was named Western Conference Player of the Month for December. Kevin Garnett was named Western Conference Player of the Month for January. Kevin Garnett was named Western Conference Player of the Month for February. Kevin Garnett was named Western Conference Player of the Month for April. Flip Saunders was named Western Conference Coach of the Month for April. Kevin Garnett was voted as a starter for the Western Conference in the All-Star Game. It was his seventh consecutive All-Star selection. Garnett finished first among Western Conference players in voting with 1,780,918 votes. Sam Cassell was selected as a reserve for the Western Conference in the All-Star Game. It was his first and only All-Star selection. 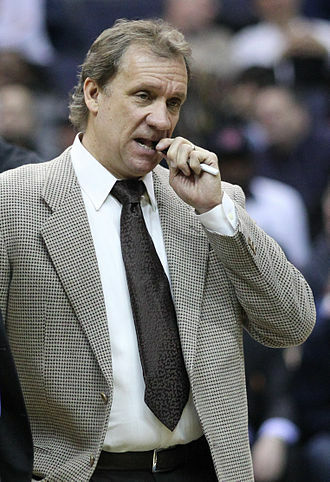 Flip Saunders coached the Western Conference to a 136–132 victory over the Eastern Conference. Kevin Garnett received the Most Valuable Player Award. Kevin Garnett was named to the All-NBA First Team. 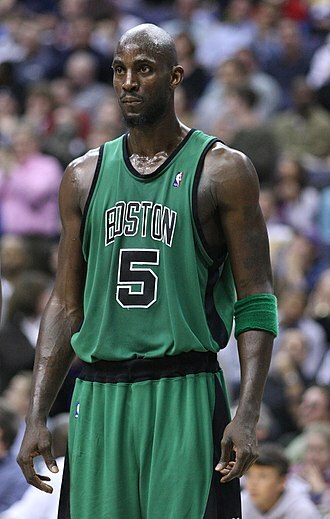 Garnett also finished sixth in Defensive Player of the Year voting. Sam Cassell was named to the All-NBA Second Team. Cassell also finished tenth in MVP voting. * – Stats with the Timberwolves. ^ – Minimum 125 free throws made. † – Minimum 20 field goals made. ^ – Minimum 5 three-pointers made. ^ "2003-04 Minnesota Timberwolves Roster and Statistics". basketball-reference.com. ^ Isola, Frank (July 24, 2003). "Knicks send Sprewell packing: Trade nets Van Horn". New York Daily News. Retrieved August 29, 2017. ^ "Timberwolves Get Cassell". Los Angeles Times. June 28, 2003. Retrieved August 29, 2017. ^ "Basketball Transactions Search Results". prosportstransactions.com. ^ "2003-04 Minnesota Timberwolves Transactions". basketball-reference.com. The Minnesota Golden Gophers mens basketball team represents the University of Minnesota Twin Cities campus. The Golden Gophers have played in the Big Ten since the conference began sponsoring basketball in 1905, the Gophers had great success in the early years of basketball, but have been largely overshadowed by other programs since the end of World War I. In total, the Gophers have won nine Big Ten championships, college basketball research organizations have retroactively awarded Minnesota national championships in 1902,1903, and 1919. The team has had several instances of NCAA sanctions on the program that have affected performance and recruiting. In the 1970s, the Gophers were in a violent brawl with the Ohio State Buckeyes and were barred from post-season appearances for two seasons after an incident involving the illegal resale of tickets. Still more severe was the academic scandal under then-coach Clem Haskins that resulted in the forfeit of a Final Four appearance. Initially, the Gophers team formed without any organized coach, L. J.
Cooke took over the team in 1897. 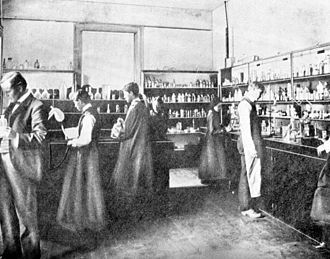 Cooke was put on the University payroll on a basis in early 1897 and full-time by the fall. Cooke remained the coach of the Gophers for 28 seasons, Dave MacMillan, who coached the team from 1927 to 1942 and 1945 to 1948, had the second longest tenure as coach at 18 seasons. 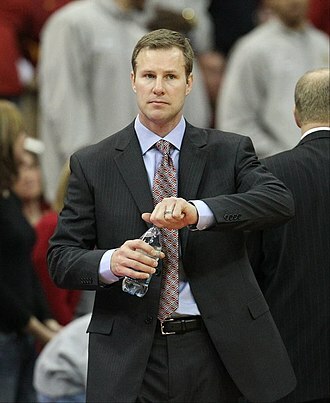 The Gophers have had several NBA coaches grace the sidelines, John Kundla took over as Gophers head coach after the Minneapolis Lakers departed for Los Angeles. Bill Fitch and Bill Musselman both coached the team for a couple seasons before departing for the NBA and ABA respectively, the program has had a fair degree of stability with their coaching staff. Tubby Smith became the 16th head coach in Gopher basketball history when hired in 2007, Five coaches led the team for more than 10 seasons, Cooke, McMillan, O. B. Cowles, Jim Dutcher, and Clem Haskins, on March 25,2013, Tubby Smith was fired after failing to reach the Sweet Sixteen again. The Gophers hired Richard Pitino on April 3,2013, the Golden Gophers have had many successful players come through the program throughout its history. Austin Peay State University /ˈɔːstən pi/ is a four-year public university located in Clarksville and operated by the Tennessee Board of Regents. The University is accredited by the Southern Association of Colleges and Schools and is the university in Tennessee. Clarksville Masonic Lodge No.89 sponsored the Montgomery County Male Academy, in 1845, the Masonic College was founded, and in 1848, the Montgomery County Male Academy merged with the Masonic College, taking the name of Montgomery Masonic College and Male Academy. This institution continued through 1855 when it was given to the Presbyterian Synod of Nashville to be operated by them as a male college, the Presbyterians changed the name of the college to Stewart College, and the name was changed again to Southwestern Presbyterian University. In 1925 Southwestern moved to Memphis, Tennessee, in 1945 it became Southwestern at Memphis, it was renamed Rhodes College in 1984. This was the forerunner of Austin Peay Normal School and located where Austin Peay State University now exists, the site on which the current university is situated has held some type of an institution of higher learning longer than any in Tennessee west of Knoxville. Limited in purposes and resources, the school grew in stature over the years to take its place among the colleges and universities under the control of the State Board of Education. Harned Hall was the first new building during the normal school era,1931 to 1943, in 1939, the state Board of Education authorized the school to inaugurate a curriculum leading to the Bachelor of Science degree. The degree was first conferred on the class at the 1942 Spring Convocation. By Act of the Tennessee Legislature of February 4,1943, in 1951, the state board authorized the college to confer the Bachelor of Arts degree and, in 1952, to offer graduate study leading to the degree of Master of Arts in Education. At the November 1966 meeting, the state Board of Education conferred university status on the college, in February 1967, the state Board of Education authorized the university to confer the Master of Arts and the Master of Science degrees. In 1968, associate degrees were approved, the state Board of Education relinquished its governance of higher education institutions to the Tennessee Board of Regents in 1972. 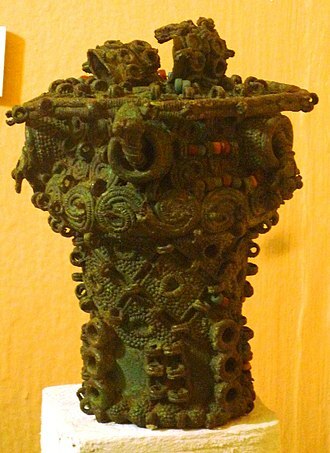 In 1974, the Tennessee Board of Regents authorized the Bachelor of Fine Arts, in 1979, the Bachelor of Business Administration degree was approved as a replacement for traditional B. A. and B. S. degrees in various fields of business. In 1979, the Bachelor of Science in Nursing degree was approved, in 1983, the Tennessee Board of Regents approved the Master of Music degree. In 2001, the Tennessee Board of Regents authorized the Bachelor of Professional Studies, the university began to grow rapidly in 2000, leading to an increase in enrollment of 52.4 percent from 2001 to 2010, making it the fastest growing state university in Tennessee. In Fall 2009, enrollment reached a record 10,188, surpassing the 10, in Fall 2010 enrollment continued to grow, reaching 10,723 students. In the early morning hours of January 22,1999, an F-4 tornado struck downtown Clarksville, No one was killed, but the Clement, Harned and Archwood Buildings were severely damaged, while many others suffered broken windows and roof damage. 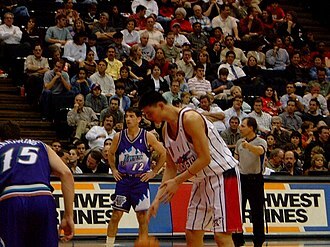 Rick Rickert is an American professional basketball player. He is a 2001 graduate of Duluth East High School where he was a basketball star and he was named 2001 Minnesota Mr. Basketball. After averaging 16 points and 6 rebounds his sophomore season Rickert declared for the 2003 NBA Draft, despite his own beliefs that he would be taken in the first round, Rickert was not drafted until the 55th overall selection by the Minnesota Timberwolves. Rickert failed to make the team and went to play in Slovenia, since then, Rickert has played with, Krka Novo Mesto, Asheville Altitude, Panellinios B. C. Kevin Garnett punched Rickert during a 2004 pick-up game, leading to stitches, in 2007, Rickert signed to play with the New Zealand Breakers in the Australasian NBL. 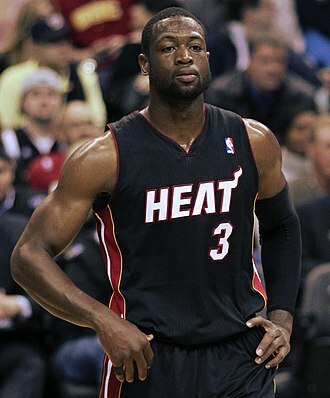 In June 2008, he re-signed with the New Zealand Breakers, in the 2008–09 season, he averaged 13.6 points and 8.1 rebounds. He played 73 game overall for the Breakers, rick played for the Harbour Heat during the 2010 New Zealand NBL season. In 2011, Rickert played for the Bayamon Vaqueros in the Baloncesto Superior Nacional, on 6 June 2013, the Wellington Saints signed Rickert for the rest of the 2013 season. Kevin Edward McHale is an American retired professional basketball player who played his entire professional career for the Boston Celtics. He is a Basketball Hall of Fame inductee and he was named to the NBAs 50th Anniversary Team, and to the official list of the NBAs best 50 players in 1996. 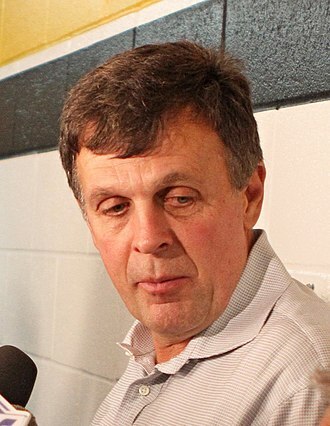 McHale began working for the Minnesota Timberwolves immediately following his retirement in 1993, at different times, as a TV analyst, general manager and he was the head coach of the Houston Rockets from 2011-15, until being fired following a 4-11 start to the 2015–16 season. 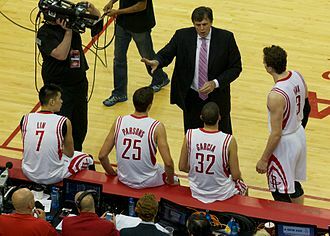 McHale currently works as an on-air analyst for NBA TV and Turner Sportss popular NBA on TNT studio show, McHale was born to Paul Austin McHale and Josephine Patricia Starcevic in Hibbing, Minnesota. 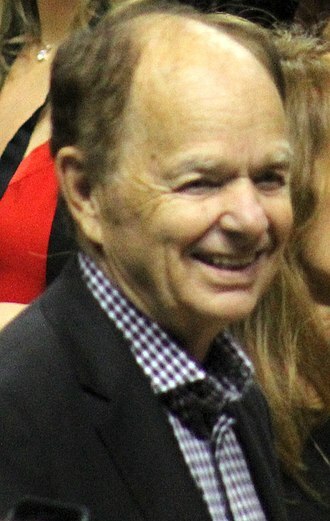 In his senior season at Hibbing High School, he was named Minnesotas Mr. Basketball of 1976 and he is of Croatian descent on his mothers side. The 6 ft 10 in McHale played basketball at the forward position for the University of Minnesota from 1976 to 1980. He was named All-Big Ten in 1979 and 1980 and still second in school history in career points. In 1995, to coincide with the University of Minnesotas 100th anniversary, McHale is famous for an encounter with Chuck Foreman in the Gopher locker room. Foreman, a famous Minnesota Viking at the time, was congratulating the Gophers on a hard-fought victory, as Foreman was shaking all the players hands, when he arrived at the then-unknown power forward, McHale displayed his comic wit, Nice to meet you, Mr. Foreman. What do you do for a living, McHales stay in Boston got off to a rocky start as he held out for a large contract, even threatening to play in Italy, before signing a three-year deal with the Celtics. Backing up Larry Bird and Cedric Maxwell at forward, McHale made an impact and was named to the NBAs All-Rookie First Team in his rookie season. Boston finished McHales rookie season with a record of 62-20. In the playoffs, the Celtics swept the Chicago Bulls in the first round, in the Eastern Conference Finals, the Celtics faced a 3–1 deficit against the Philadelphia 76ers, but Boston won the last three games of the series, including Game 6 on Philadelphias home court. The Target Center hosting a Rage Against the Machine concert. L. J. Cooke was the Gophers coach from 1897–1924. The Golden Gophers have played home games in Williams Arena since 1928. Olowokandi in 2006 with Earl Barron. Hudson on the bench in February 2007.